400,000 Allied troops marooned on the stretch of sand between Dunkirk and the Belgian town of Ostende. Left facing certain death as Axis forces closed in, for nine days, those soldiers fought tooth and nail in what became one of the greatest rescue missions of not only World War II, but human history. Sound familiar? 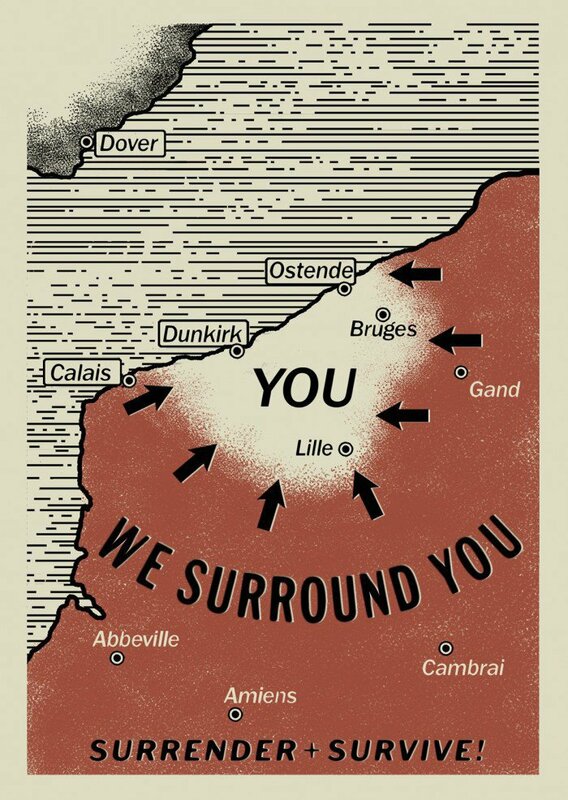 If you’ve been keeping pace with Dunkirk‘s marketing blitz, it should; all this week, Warner Bros. has deployed fleeting teasers for Christopher Nolan’s wartime epic that draw attention to some of the conflict’s mind-boggling stats – the 400,000 troops stranded 26 miles from home ought to drive home both the scale of the situation, and the lingering air of hopelessness that pervaded the Allied forces in this most desperate hour. All of that publicity comes to a head today with the launch of the new, full-length trailer for Nolan’s WWII opus, in which we see the Miracle of Dunkirk told across land, air, and sea. It’s part and parcel of the film’s triptych storytelling, which looks set to piece together each conflict – be it on the ground or in the air – in the most cinematic way imaginable. And that’s all on display up above. Early on in production, Christopher Nolan claimed he was bringing all of his filmmaking experience to bear when crafting Dunkirk, and it’s not too difficult to see why. From the Spitfires tearing up the beach to hundreds of soldiers hitting the dirt in unison, Nolan’s latest looks set to be a mesmerizing experience that simply demands to be seen on the biggest screen in the land. Moreover, it’s no secret that Nolan has developed a knack for complex, labyrinthine plots all throughout his career, and when you factor in the sheer scale of Operation Dynamo, it’s not too much of a stretch to say that Dunkirk is shaping up to be his most ambitious creative venture yet. Dunkirk storms off the beaches and into theaters on July 21st. In what has become common practice for Christopher Nolan, the sweeping WWII epic will feature a ton of IMAX footage, after the filmmaker seemingly utilized those hefty rigs on set as though they were GoPros. In Nolan we trust? We’ll find out if that faith is rewarded in two months’ time.